2015 has been a great year when it comes to reading books for me. During it, according to Goodreads, I have gulped down 212 volumes that were not only novels for adults but also volumes that belonged in many other genres: YA, graphic novels, poetry, children's stories, short stories and books in translation. This has also been a year that I stopped writing reviews since I had much else occupying my mind and time, so below I'll give you no more than a few words about the books I have read. I hope some of my choices echo yours and I look forward to an exciting new year of reading. 81) Twisted Dark Volume 1 by Neil Gibson and others. I don't know if you need to have a-sort-of twisted mind to enjoy the stories contained in this volume, but if you do, I plead guilty. I loved the stories and I loved the art - though some of them were better drawn than others. If you are a comic books fan I'm certain that you'll enjoy this tome. 82) Die Again by Tess Gerritsen. Gerritsen is a great crime fiction writer and I really love her Rizzoli & Isles series. Though the characters on TV are funnier than the ones on the page, I like the latter more because in every new book that comes out I, as a reader, come to discover new depths in their psyches. As for the plot, well, there's a murder, and there are some more, and these dynamic women have to capture the killer. Simple as that. And not simple at all. Read it. 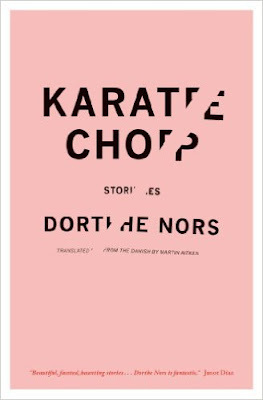 83) Karate Chop by Dorthe Nors. The stories included in this collection I could never describe as usual. They remind me of exercises in storytelling; very good exercises. They are short. They are to the point. And they have a lot to offer to the open-minded reader. This author is a new discovery for me and I'll keep an eye out for any future work of hers that's translated into English or Greek. 84) The Malediction by Jean Giono. To be honest I didn't have an easy time reading this book. I don't know if that had something to do with the translation. Whatever the reason, the fact is that in the end it left a bittersweet taste in my mouth. Bitter for the words that didn't seem to flow as they should; sweet for the story itself. And I still can't decide as to whether I should recommend it to someone or not. 85) Too Much Happiness by Alice Munro. As I've mentioned in an earlier review it's almost impossible for me to give five stars to a short story collection, and I only did it twice all year long. This was the second time. Wow! I said after I finished reading it. Wow! Read it. Full stop. 86) Solitude Creek by Jeffery Deaver. 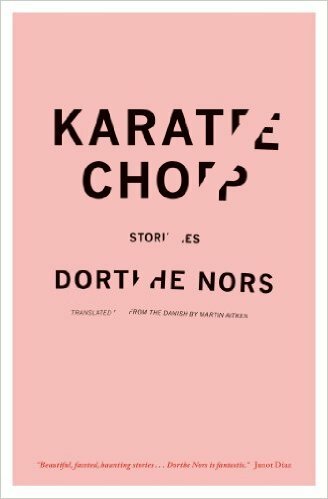 I don't like the Kathryn Dance series of novels as much as the Lincoln Rhymes one, but this here was a really great read. In it Deaver did what he does best, wrong-foot the reader again and again, make him believe one thing while leading him to another. I think this is the best book in the series so far, but Rhymes is Rhymes people. 87) The Other Language by Francesca Marciano. Italians, just like Irish, are natural-born storytellers, and Marciano is a very good one. I really enjoyed following the figments of her imagination from one place to the next, see the world through their eyes, share their feelings. Stories that speak to the soul. 88) You Don't Say by Nate Powell. This is a hybrid collection of comic stories and more. And it is exactly this miscellany of pieces that make it worth reading. Perhaps one would say that some things don't belong in this volume, but in turn I'd say that they are wrong. There is a great concept here that works very well on the page. One could only wish that one day he'd be able to create something like this. Not perfect, but close enough. 89) Flash Gordon Omnibus Volume 1 by Various. I wish I could say that I've enjoyed reading this a lot but I'm afraid that's not the case. I did like it, but at the same time I felt that the art was a bit lacking, that the plots could use a bit of… shining, and so on and so forth. However I'm sure that the fans will enjoy reading it since it offers a lot of material and enough action scenes to satisfy their thirst. 90) Robert Heinlein's Citizen of the Galaxy by Robert Lazaro, EricGignac and Steve Erwin. Most of the times when a work of fiction is "translated" into a comic book things don't quite work out. However they did work out here, as the original myth took new life on the page, with the help of a good script and wonderful artwork. A job well done.